VPNs, aka, Virtual Private Networks, are a gift from heaven, especially for those people living in countries that have data retention laws. VPNs give you the ultimate security, anonymity and freedom that you are presently missing out on as a 21st century Internet user. When it comes to VPN, you will find only a handful of names that are truly reliable and trustworthy. And, amongst those top VPNs, PureVPN genuinely stands out. PureVPN operates from Hong Kong, a country that doesn’t have any data retention laws. It means that users don’t need to worry about the security and anonymity of their data. Apart from that the service offers one of the most feature-rich applications in the industry that no other VPN service currently provides. 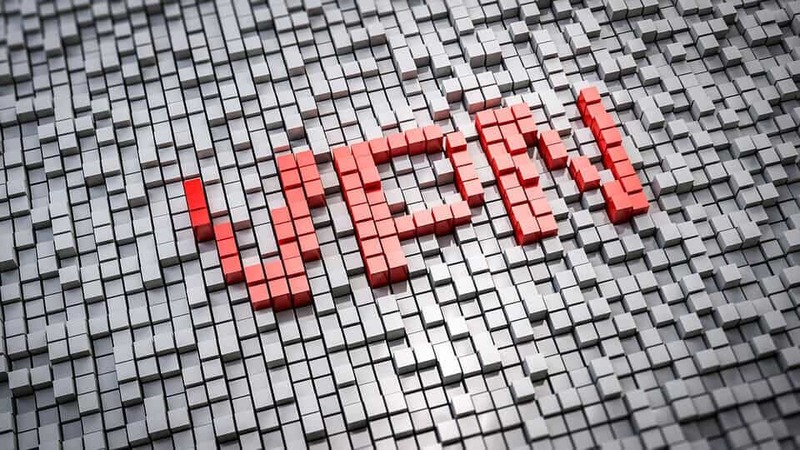 When you become a premium user of the VPN service, you are assured guaranteed 256-bit encryption protection, malware protection, Instant Kill Switch, Split-tunneling and huge pool of anonymous IPs originating from 2000+ servers that are strategically installed in over 180 different locations in the world. Not only this! It is one of the best VPN for Netflix. Upon our careful dissection and examination of the VPN service, we can say it with complete confidence that PureVPN review passes with flying colors in all aspects including design, navigation, features, pricing, speed, performance, security, policies and reliability. You will learn more about the different aspects of the VPN service in great detail further in this PureVPN review. However, before we proceed to the review details, let’s first take a look at what a VPN is and why you need one. As mentioned above, VPN stands for virtual private network. It is a tool that allows users to create a virtual, encrypted tunnel that extends from the users’ machine (system) and to the Internet server. The purpose of the encrypted tunnel is to secure all the traffic that transmits through it. With the combination of anonymous IPs and the military-grade encryption technology, users are not only able to secure their traffic or Internet data from the plethora of security threats that lurk online, but also to hide their activities and data from unwanted prying or surveillance. In short, security and anonymity are the two basic purposes that instigate the dire need of a VPN. According to a 2016 report, over 200,000 malware samples were identified every day. Apart from malware, there are also the growing amounts of ransomware attacks that Internet users should know about. Malware and other security threats aside, you also need to worry about the growing government policies regarding data retention and surveillance. There are many past cases where it was reported that some government agencies were conducting illegal surveillance through smartphone hacks, smart TV security breach, and other such underhanded tactics. To overcome all those problems, you need a VPN. The encryption technology of a VPN service helps you ensure the integrity of your data. All the internet traffic or data that passes between your device and the Internet is encrypted. So, even if someone is able to get their hands on the data, they won’t be able to read it or use it for any ulterior motive. The data would be useless to them. Apart from that the anonymous IPs helps the user to mask their IP and location, allowing them to browse the Internet in a completely anonymous mode. 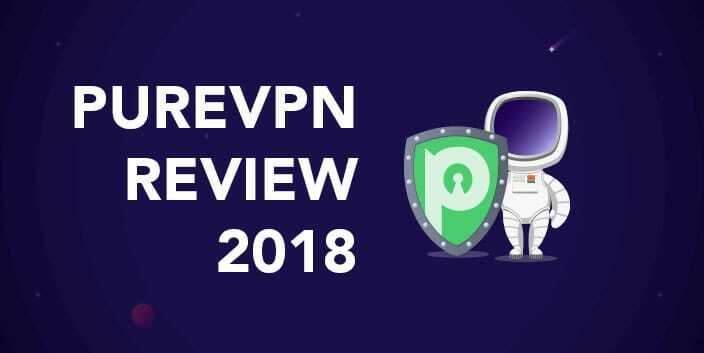 Now that you know each and everything about a VPN, let’s move on and learn more about the PureVPN review in detail. The VPN offers multi-device compatibility which is just the best thing for users looking for powering up their different devices such as gaming consoles, mobile OS, raspberry pi, etc. The company has a strict refund policy. Therefore, read the refund policy prior to asking for refund. Privacy and unblocking are the two most important use cases of a VPN. The VPN users around the globe often use the VPN for the unblocking purpose. For instance, there are many websites and streaming applications that are blocked in the rest of the world but only accessible in the US or UK for that matter. To access such content, users require a VPN. Similarly, VPN users also use the VPN to unblock and access p2p file sharing service. These services are often considered as illegal in some countries. Therefore, users use a VPN service to cloak their identity and maintain complete privacy while using file sharing servers. The point is all these use cases require complete privacy. This is the reason that VPN users are often concerned about the privacy guarantee of a VPN service. If you are like those users and wondering whether PureVPN keeps log or not, then don’t worry. We have tested the service for different use cases and found no sign of data logging. As promised by the service, they have zero-tolerance for data logging. Connection logs are a term you would often hear when it comes to VPN services. Many people believe that companies who maintain a logging policy of connection logs are actually logging the user data. Well, it is possible in some cases, especially when they are dealing with unreliable services. However, you won’t find any such problem with PureVPN. To clarify any connection logs myths or you may say maintain customers’ trust, they have also mentioned that the connection logs they keep don’t include users’ real IP, the VPN IP they are using, any specific time they connect to the VPN server or the activities they do after connection. PureVPN review analyzes that the service has exclusive privacy policies for the EEA residents. People living in the EEA can opt out the marketing emails, they can ask for the VPN service’s customer support to delete any details in the users’ profile, and more. When buying any product, it is important to check out and understand its refund policy so that you don’t get into any inconvenience if you want a refund. These policies are made for the convenience of the customers or users. However, some users often show negligence that ultimately come back to bite them. Regardless, if you find any inconvenience with the PureVPN service, you can check out their refund policy prior to asking for refund. The VPN service provider offers a strict yet very simple set of terms for users who want to file or request a refund. For starters, people who are subscribed to the 3-day trial account are not eligible for any refund. After all, they have signed up for a trial which is only for 3 days. Therefore, don’t expect any refund for a 3 days VPN usage. Apart from the trial account users, there are policies for the regular VPN users as well. The refund is valid for up to only 7 days right after the subscription is made. From their current policy, it is clear that they don’t have any hidden eligibility criteria for the refund. Moreover, it is also important to note that the service has clearly stated in its refund policy that although the service offers a plethora of payment methods for the convenience of the users, not every payment option offers refund. There are some payment methods that are tagged as non-refundable. Therefore, when you are subscribing to the service, double check what payment method you are using. If it is a non-refundable payment option, then don’t expect any refund at all. To learn more about the Refund Policy of PureVPN, we recommend you that you check out the page and read the page thoroughly. 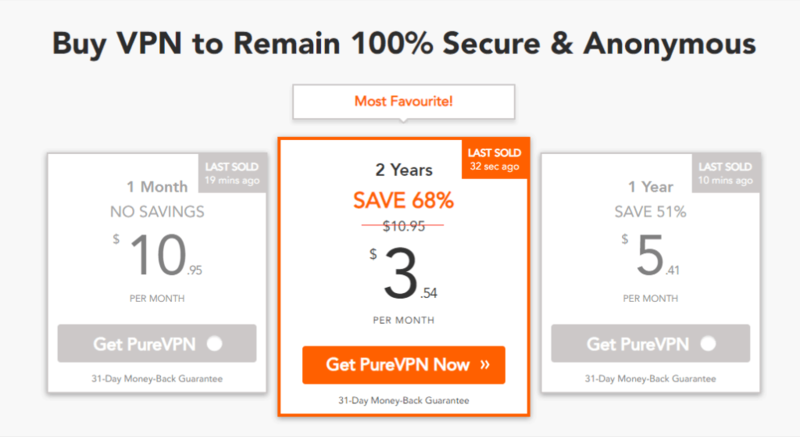 As we have mentioned earlier in the PureVPN review, the VPN service offers one of the best and affordable VPN prices in the industry. The VPN service has split its pricing plan into three different categories. Each category or pricing plan is best suited for people according to their needs. For instance, some VPN users only require the service for a month use only. Similarly, there are some users who want to use the VPN for more than a month. There are also a huge population of those VPN users who want a VPN service for prolong period. Fortunately, PureVPN has the right pricing plan for all such users. Let’s start with the 1 month pricing plan. The first plan, i.e., the 1-month plan starts at $10.95 which not only sounds but indeed is quite expensive. As discussed earlier, it is best suited for people who don’t have much use of a VPN service. They just want the service for a one-time purpose such as unblocking a website for any urgent or important work. Likewise, people who are going abroad for a vacation might also require the VPN service to get maximum online security when connecting to Public wi-fi. In fact, people may also use a VPN to find cheap flights. Well, it is not a myth but a reality. In fact, there are many cases available on the Internet where the users had used a VPN to find fairly cheap flight. The second plan is the 1-year plan and it starts with $4.14. The 1-year plan is quite affordable than the 1-month plan. It is a pricing plan which is ideal for users who want complete protection for up to a year, while also keeping their budget in mind. 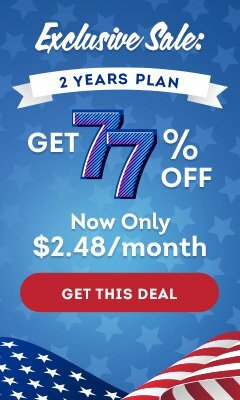 For users, who want the VPN for prolong use, we recommend that they opt for the most affordable 2-year plan that starts at $2.48. For starters, you don’t need to worry about paying for the VPN for another 2 years. Secondly, you get to enjoy unblocking, p2p downloading, torrenting and online security against the growing cyber threats for a quite long time. Before paying against the selected pricing plan, we recommend our readers to read the Terms and Conditions thoroughly so that you have a complete understanding of what you are dealing with, how to use the service, how not to use it, etc. There are many VPN services that offer only a handful of payment methods. Mostly, VPN services use only the popular payment gateways like PayPal or Visa Cards. In our PureVPN review, we are pleased to report that unlike the traditional VPN services, PureVPN offers over 150 different payment gateways only for the convenience of its users. When you select the pricing plan that best fits your need, you will be automatically scrolled to the payment gateways. There you will find all the most popular and other payment options including the PayPal, Credit cards, Bank Transfer, AlertPay and Payment wall. In fact, if you want to maintain strict privacy when it comes to transactions, you can even opt for the Bitcoin payment methods. All these payment methods show the dedication of the VPN service to cover all the needs of their users even when it comes to how the users or customers want to pay. Apart from that the Paymenwall includes a plethora of other online payment options that include but not limited to CashU, Mercardo Pago, AliPay, Todito Cash, Webmoney, Dotpay, PaySafeCard, Mol Points, Yandex, Ukash, iDeal, Giropay, Qiwi, Necard, NeoSurf, MyCard Wallet, and much, much more. When you select the PayPal as the payment gateway, you will be asked to enter your Paypal credentials to proceed with the payment. Similarly, when you opt for the Bank Transfer payment option, you will be shown a complete invoice of your purchase along with the relevant details. 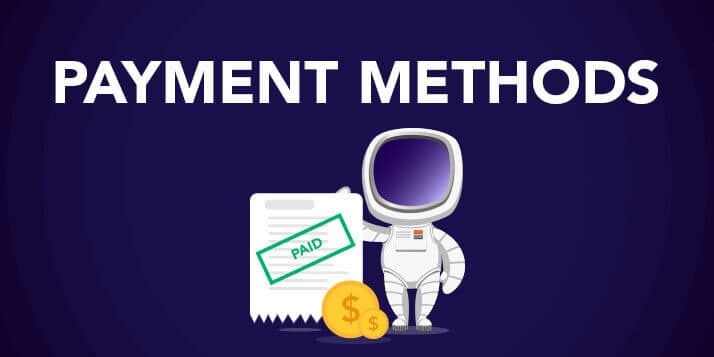 If you choose the PaymentWall option, you will be redirected to the Monetization Platform gateway of the Paymentwall. It is where you can make the payment using the Paysafe Card. You can also make the payment through the bank transaction of the Paymentwall. Likewise, you can also pay throught he Payza payment gateway. When you select the option, you will be redirected to the Check-out option of the Payza payment gateway where you can see the selected plan. All in all, with a massive range of payment gateways at your disposal, you can easily make the purchase without any inconveniences at all. Best of all, there will be a customer chat window also available. If you come across any difficulty with the payment option, you can always chat through the livechat window and get your problem troubleshoot in a matter of seconds. Now that we have discussed the pricing plan and the payment options, let’s talk about the features of PureVPN. 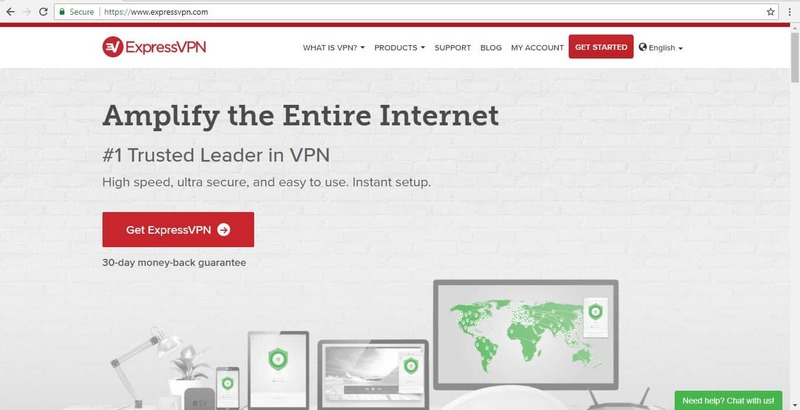 As we have discussed earlier, PureVPN is one of the few leading VPN services in the industry that are fairly rich in features and functionalities. One of the many amazing features of PureVPN is that it has a massive global presence. When it comes to VPN server network, PureVPN has around 2000+ servers. All these servers are equipped with the best technology when it comes to speed, performance and security. Moreover, the network of server is spread to across the 6 continents, i.e., in over 180 different locations. Having a huge pool of servers in different countries means that PureVPN gets an edge over most other VPNs in terms of universal accessibility. In other words, the more servers a VPN service offers the more the unblocking capability and anonymity the users get. Moreover, a large number of servers also allow best server speed from any location. If you have VPN servers in the regions near your country, you are assured to get the best ping and server speed. Extending our above discussion, it wouldn’t be great if a VPN service offers many VPN servers but poses a limit when it comes to server switching. Don’t you think? Well, when you become a premium user of PureVPN, you get to use any server location of your choice and you also have the complete control on the number of times you want to switch to any server. It is one of the best things we have come across when reviewing the PureVPN service. It helped us find the best server when it comes to browsing speed. Like many other service, PureVPN also offer unlimited bandwidth. After all, you are paying for a premium service experience and it wouldn’t be called a premium experience if there is any restriction to anything even when it comes to using the bandwidth. When you are looking for a service, make sure that you always look for the bandwidth limit. Streaming and downloading are the top use cases of a VPN service. If a VPN service provider doesn’t give you complete bandwidth usage, buying a VPN at hefty prices won’t give you any benefit because streaming and downloading consumes too much bandwidth. We used the VPN service to its fullest extent and we haven’t come across any bandwidth limit issue. Therefore, we can safely say that the VPN service does deliver on its unlimited bandwidth promise. If you are a first time user of a VPN service, you would be confused when you hear the term Split Tunneling. You might wonder what split tunneling is and why you would need it. There are many benefits of using Split tunneling when it comes to VPN. First of all, as the name suggests, Split Tunneling is a feature where you are able to split the traffic between the VPN and the normal ISP. For instance, you want to use the VPN to unblock some websites. At the same time, you also want to access an FTP site that cannot be opened on a VPN. You can use the split tunneling feature to open the blocked websites through the VPN while use the FTP website through the regular ISP connection. Split Tunneling is a great feature that is adored by gamers and streamers alike. The split tunneling feature also allows users to put a balance load between the VPN and the ISP for a better VPN experience. We already know the fact that majority of the VPN users in the world are those people who want to access blocked websites in their country or region. Therefore, we cannot neglect this fact while reviewing PureVPN. Luckily, we have found that PureVPN offers one of the best universal accessibility features in the industry. The VPN service offers the best unblocking capability allowing users to unblock and access over hundreds of thousands of websites that are either blocked due to regional restrictions or government policy. In fact, we also found that we could unblocked and accessed over 100s of top streaming services that are plagued with regional restrictions due to licensing problems and that include Netflix, Hulu, Amazon Prime, Italy SkyGo, and many more. There are many VPN services that don’t offer multiple login capability. With the lack of such capability, users have no other option but to buy separate accounts for separate devices. Fortunately, PureVPN offers multi-login capability for up to 5 different devices. These features are important because they allow cost-saving as well as best VPN experience. Anyway, you can use one PureVPN account to power up to 5 different devices. IKS is an amazing feature that every good VPN service should offer. We are pleased to see that PureVPN also offers this feature. The IKS feature allows users to maintain 100% anonymity of their Internet connection and usage at all times, especially when there is a VPN connection drop. It is due to usually connection drop that leave users completely visible to the ISP, even if it is for a minute or two. However, with the Internet Kill Switch feature, users are able to maintain privacy. The IKS feature immediately shuts down all the VPN activities in the event of a connection drop. PureVPN offers an exclusive set of advanced features that are best for maximum cyber security and parental control. At first we were also confused about what Ozone is. However, after going through the website and using the feature we came to understand its full potential and benefits. Malware have plagued the Internet more than it had a few decades ago. Now, there are more websites that are loaded with malware and waiting for users to access them so they can infect the users’ devices. To overcome such security threats, you need malware protection. Here, PureVPN comes into the picture. The VPN service offers Ozone add-on that offers server-level malware protection. Unlike the traditional antivirus applications that identify and remove on device threats, PureVPN’s antimalware protects users’ devices from the onset, i.e., the feature prevents any websites, applications or services from sending any malware. As a result, users can browse any website on the Internet with a complete peace of mind. Nobody wants intruders in their home. Similarly, you wouldn’t want intruders in your system because they can steal your data and use it for their illegal purposes. The IDS and IPS feature that stands for Intrusion detection system and Intrusion prevention system keeps all the intruders away from the device and your privacy. The IDS and IPS is a highly-intelligent piece of technology that keeps every type of intrusions at bay. The URL Filtering feature is one of the best parental control tools for every parent who is worried about their children coming across any explicit content on the web either intentionally or accidentally. The feature allows parent to prevent any such website that contains any sort of explicit content from opening. When you go to the URL Filtering settings it will open up a new window screen on the browser from where you can find more categories that you want to block or unblock. The URL Filtering feature is in fact best for lots of other more purposes. For instance, office users can use this service to block any such websites that affect the employees’ productivity such as Facebook and YouTube. The Content Filtering also known as Ad-blocking is a great feature by PureVPN. Nobody wants pop ups and advertisements to ruin their Internet browsing experience. These pop up ads are not just annoying but also sometimes harmful for the device as well as users. Some pop up ads lead to malicious websites and some leads to scam websites. In any case, it is best to avoid advertisements. PureVPN content filtering feature is another server-level feature that blocks ads. As the name suggests, the app blocking feature blocks the Internet access to any application that you want. This way users can prevent any apps that are popular for having low-privacy standards from opening. Apart from unblocking and anonymity, another most important aspect of a VPN service is to offer the best online security to the users. As we have already discussed earlier that encryption is one such technology that VPN uses to protect the traffic that transmits to and from the users’ device. However, there are some other security aspects that users should know about when buying a VPN service. Encryption comes in different form. There is 128 bit encryption, 256-bit encryption and so on. The more higher you go the more secure your connection becomes. However, a higher level of encryption or double encryption can slow down the speed. However, the 256-bit encryption technology is by far the most efficient encryption there is that offers best security and speed. It is said that the same level of encryption is used by military agencies. PureVPN also uses the military-grade encryption, i.e., the 256-bit AES encryption. With the AES encryption, you are assured that not a single byte of your data is unsecure. As we have already discussed earlier that Ozone is a set of advance cyber security features. However, these features don’t come as a built-in feature but as an add-on. Therefore, you have to pay a mere few bucks more to add them to your desired pricing plan. The Ozone feature has malware protection, intrusion detection and prevention system, website filtering, app filtering and ad blocking. Where there is encryption, there are also security protocols and vice versa. There are many types of protocols and we have found that PureVPN offers all the most commonly used protocols including SSTP/IPSec, PPTP, IKEv2, OpenVPN and more. The PPTP protocol is by far the fastest protocol which is due to the reason that it offers low encryption, i.e., 128 bit encryption. This is the best protocol for people who want speed over security such as streamers, gamers, etc. Likewise, IKEv2 is by far the strongest protocol in the inventory. However, it slows down speed a bit which some VPN users might not like. In terms of balanced speed and security, we would recommend the OpenVPN protocol. It is available for different operating systems as well as devices. Luckily, PureVPN maintains a good knowledge base where you can find easy-to-do tutorials for setting up the protocols manually. If you are not a technical-savvy person, we recommend that you use automatic protocol feature. 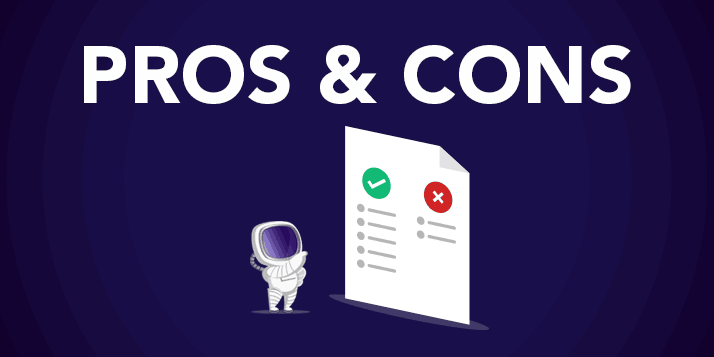 The feature leave the protocol selection to the VPN which ultimately finds and connect with the best protocol. NAT (Network Address Translation) Firewall is an add-on offered by PureVPN, and as the VPN service suggests, it offers an “additional layer of security”. The NAT Firewall is an amazing additional feature that gives you the maximum level of security against unrequested connections, malicious incoming traffic, exploits, and more. Although individual users might not be less protected if they don’t use the feature, NAT Firewall is a must for corporate users as it helps secure the device against the many OS leakages that are commonly targeted for security breaches. Similar to the pricing page of the VPN service, the add-on is also available in three different packages, i.e., 1 month, 1 year and 2 years plan. DDoS (distributed denial of service) attacks are ruining businesses in their wake. These attacks are not just common in business settings, but also amongst individuals. For instance, some online gamers cause DDoS attacks on other gamers for their ulterior motives. Regardless, it is important to have a tool that can help us protect our system as well as our data from such attacks and make the Internet a safer place. Fortunately, PureVPN offers the DDoS protection feature as well. The VPN service offers the feature as an add-on. The price of the add-on remains same across the three pricing plans. Customer support service is an integral part of every business. A diverse and efficient support system assures the customers that the company is serious about its business and the convenience and satisfaction of its customers. 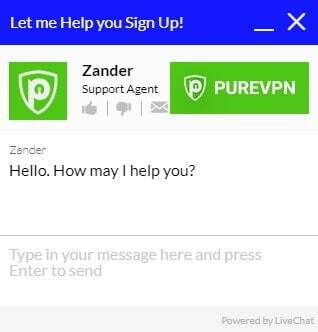 Keeping the significance of customer support in mind, PureVPN also ensures that it delivers the best and efficient support to its VPN users. For that purpose, the VPN service has created a diverse infrastructure of its support system: Live Chat, Support Ticket, FAQs and Support Center. PureVPN offers a 24/7/365 live chat support system. The live chat system works round the clock and best of all it is not plagued with annoying bots. The support system offers fastest responses when you chat with them at any hour of the day, solving customers’ queries and concerns without fail. All the low to moderate problems are solved within a single chat session. For instance, if you are having problems with the setup process or need troubleshooting with connection, the support agents can solve these problems within minutes. However, if the problem is related to customer’s account, the support agent might take a little longer to solve it. In our PureVPN review, we found that PureVPN puts utmost focus on customers’ convenience, and they go above and beyond to solve customers’ queries or concerns in the least time possible. The best thing we found about the Live Chat system is that it is available on almost all the pages of the website. It gives the service as well as the customers the convenience to identify and solve the problem at the right time. The Live chat support system works in a fairly simple manner. You first have to choose whether it is a support query or a pre-sales query. Once you click start the chat, you will instantly be connected with a support agent. Another way you can get in touch with the customer support agents of the PureVPN service is through the support tickets. The support ticket can be created at any time or hour of the day and it can be used for solving the billing related problems, technical support and other general complaints. Moreover, users can also use the support ticket system to request other types of assistance as well. For instance, users can ask for the support related to the reseller and other business plans. Best of all, you can expect immediate response, same as you get during Live chat conversation. It is a norm amongst online services to offer a Frequently Asked Questions (FAQs) section on their website. Similarly, you can find a good number of FAQs on the PureVPN’s official website as well. The FAQs page presents answers to all the VPN related questions that customers often ask. You can also say that it is the knowledge base where customers can find everything related to PureVPN including common questions and answers, tutorials related to the VPN setup on different devices, routers or operating systems, manual setup guides, account and billing related knowledge base, use cases, and more. PureVPN has an official website from where users can get to know everything about PureVPN such as when it was created, what’s its mission or vision, what sorts of features it is offering, pricing details and more. The website has a fairly easy and user-friendly interface with simple navigation. Moreover, the website also has a good load time in that it opens up pretty fast under any sort of Internet connection. In fact, the website is fully responsive and by that we mean it offers a good browsing experience across different screens such as tablet, smartphone, etc. You can also find the member area on the website which is only accessible if you have a premium subscription of the VPN service. The good thing about the PureVPN website is that it caters to not only English speaking users but also users of different languages. You can access PureVPN’s website in Italian, Dutch, Chinese, Spanish, Arabic and other popular languages as well. PureVPN also maintains a blog where you can see regular publication from the company. The publications usually include industry news, promotional or seasonal deals, tutorials, and more. You can, in fact, subscribe to the newsletter of the PureVPN blog to receive updates on future posts. In our PureVPN review, we have found PureVPN as one of the most highly compatible VPN application for a wide range of devices. You can easily download the app for your desired device from the Download page of the VPN service’s website. Windows is perhaps the most used operating systems in the world, which is why it is obvious to expect a VPN application for Windows OS. PureVPN offers Windows compatible application for all the versions of the Windows including the latest Windows 10. The Windows 10 is notorious for security vulnerabilities but with PureVPN, users can expect a secure and anonymous Internet experience on their Windows 10. Users who are fine with installing the application on their Windows can download the app from the Download page of the website. However, users who don’t want any added application on their Windows can install the VPN manually on their windows by following the setup guide available on the support page. If you are a Mac user, you will be glad to hear that the PureVPN application works efficiently with the Mac devices and all versions. With the availability of 5 multi-logins, you can easily use the same credentials in all your Mac devices and not to mention other devices that are using different operating systems. With PureVPN’s Mac application, you can stream all your favorite content on your Mac device, unblock restricted social media channels, websites and streaming portals, and secure your Mac data against cyber threats that include hacking, spying, spoofing, etc. Another feature that might sound sweet to your ears is that you can use PureVPN’s dedicated IPs on your Mac devices and enjoy better control on your browsing and Internet experience. You can get the dedicated IP through the add-on selection that you can see when filling out the payment details on the order page. For our PureVPN review, we checked the VPN service on the Android devices and found that the VPN application works fine across different Android devices and Android versions. The Android application of PureVPN can be downloaded from the Download page of the website. Secondly, users can also find the manual setup guide for different protocols on the support page. The VPN service not only performs seamlessly across different Android devices, but it has also found to offer 99.9% uptime. Best of all, you don’t need to be worried about the bandwidth at all because the VPN service comes with built-in unlimited bandwidth. Moreover, due to unlimited bandwidth and ISP throttling protection, we noticed fastest browsing, streaming and downloading speeds on the Android device. The military-grade encryption also helps you ensure that your Android data is protected against all cyber security threats. Another benefit of using PureVPN on your Android device is that the application allows you to unblock over hundreds of thousands of websites including all the popular streaming services that are otherwise blocked in certain regions including the Netflix, Hulu Live, Sling TV, and many more. 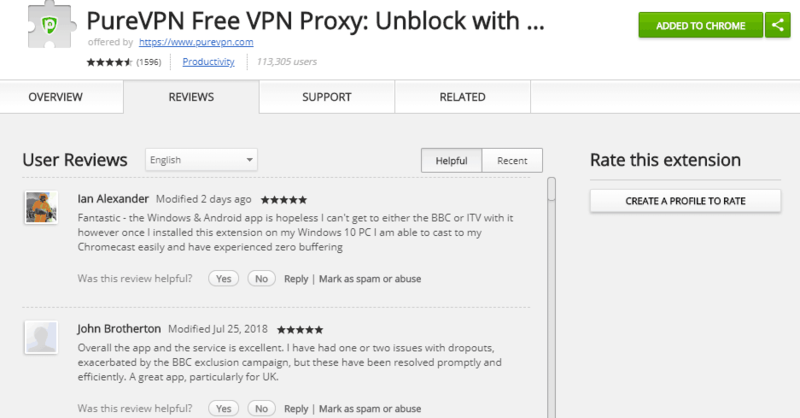 We have found the VPN service one of the best VPNs for unblocking the popular streaming services. Similar to other operating systems and devices, PureVPN works also pretty efficiently on the iOS as well. We tested the VPN application on different versions of the iOS and found that it works seamlessly across all the versions. The iOS application comes with a handy smart connect feature that lets users connect with an optimal server (in terms of performance and speed) with a single click. Apart from smart connect, you will also notice that the VPN application for the iOS offers sleek user interface which is also completely user friendly when it comes to navigation. In our PureVPN review, we test the PureVPN service and performance on the Linux system and we found that the VPN is completely compatible with the Linux operating system. You would be amazed to hear that the VPN application for the Linux system packs a great user interface which is completely straightforward and easy to use for the Linux users. Best of all, you get to experience the same level of security and anonymity on your Linux operating system as you get on the Windows system. Another part you would definitely like about the Linux application is that it comes with different tunneling protocols. With multiple protocols at your disposal, you can set the security and anonymity level as per your needs when using the VPN service. The protocols available on the Linux system include OpenVPN, IKEv1 and 2, L2TP, SSTP and PPTP. It is also important to note that the OpenVPN protocol on the Linux system comes with both the 128 as well as 256-bit AES encryption. In fact, it also packs the 128 blowfish encryption. You can visit the support center page of the website and search Linux for the guide. You will be amazed to find that the website has Linux VPN guide for Debian, Ubuntu, Mint, Fedora and CentOS. The chrome extension comes in both free and paid versions. Of course, in the free version, you can expect some limitations and in the paid you get no limitations. For instance, in the free chrome extension, the VPN comes with limited server locations. The positive point is that you can check the free version for a test drive. If you are fine with the performance, you can later opt for the paid version. The paid version of the PureVPN chrome extension comes with up to 25 different server locations. Although PureVPN’s desktop app comes with over 2000 servers in 180 locations, you won’t find all those servers in the extension. However, the good side is that you can use the same credentials for the desktop version and gets to use all the server locations of your choice. Another great thing about the extension is that you can unblock and access Netflix and Hulu from the paid extension. The chrome extension also comes with an added feature which is the WebRTC leak protection. It is a must-have feature that not every VPN service offers, especially with the extension. The feature keeps your connection secure from the WebRTC leak. We also found pretty great reviews on the Chrome Extension store. Over 1200 users have given good rating to the extension. The extension has over 100K users. 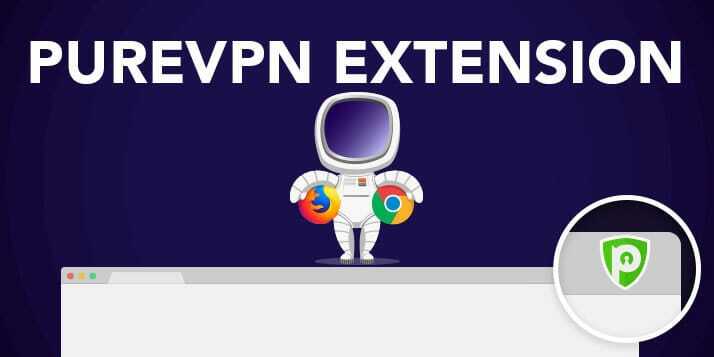 You might find the user-count of the PureVPN FireFox extension lower than the Chrome Extension, but we can say it with complete confidence that the both the extensions perform equally in terms of speed, connectivity, accessibility and stability. The FireFox extension also has free and paid versions of the VPN, similar to the Chrome Extension. In fact, the user interface and functionality is similar in both the extensions. The extension can be downloaded from the FireFox add-on store. When it comes to VPN and entertainment, Kodi immediately comes to mind. Kodi is an entertainment solution that is adored by streamers all across the globe. It is because Kodi has a diverse inventory of add-ons that lets streamers find their favorite movies, shows, sports and other entertainment stuff under one roof and access them with a single click. Best news for users who looking to buy PureVPN is that the VPN service provider offers app for Kodi as well. The VPN service has its own PureVPN add-on for Kodi that lets users easily install the VPN in Kodi and access the geo-restricted add-ons for unlimited streaming and entertainment. PureVPN also has a compatible application for the Android TV. Users can easily download the application through the Download page of the PureVPN website. Anyone looking for the installation guide can check out the tutorial on the support page of PureVPN. 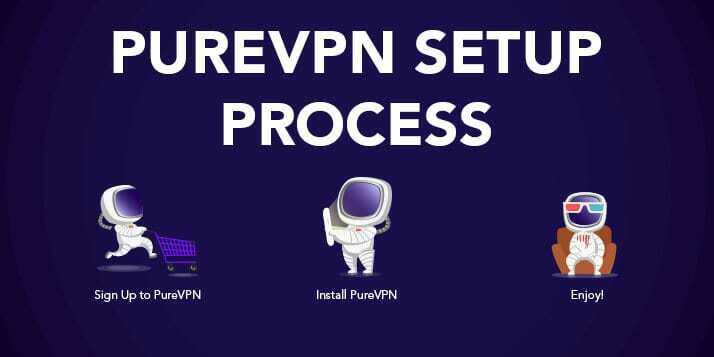 If you are a FireStick TV user and looking for a VPN service, we recommend you to try out the PureVPN application. The VPN service offers complete setup guide for installing the VPN application on your FireStick. We have tested the VPN on the FireStick for the review purpose, and we can say it pretty confidently that the VPN works seamlessly with the device. Users of DD-WRT routers are always on the lookout for VPN services that are compatible with the DD-WRT routers. Luckily, PureVPN offers an applet for the DD-WRT as well. The VPN service offers complete setup guide on its support page. First of all, you need to download the VPN application for your desired device. For that you need to go to the Download page of the VPN service. You can check the performance or speed of the connection by click the Show Graph on the application. VPN services are often frowned up when it comes to speed and performance. The speed and performance are usually hampered because of the extra security measures that the VPN service offers. To check the speed and performance of PureVPN, we tested it on reliable speed test tools. After our analysis of the speed test, we found that the VPN service passes the speed test with an excellent score. Although there were a few servers that performed slower during the speed test but there could be a number of factors involved behind the slow performance. What’s good is that the service offers great speed in its majority of servers. Torrenting or P2P file sharing is one of the most popular activities that VPN users indulge in. PureVPN is the best VPN application for a seamless torrenting experience. By using PureVPN, users can not only access the torrent websites but they can also access the torrent clients and download their favorite movies, TV shows, and other entertainment torrent files available on the Internet. Best part about PureVPN torrenting is that you get maximum downloading speed when using torrent files. Another good thing about the service is that it lets you download unlimited number of files and applications due to its unlimited bandwidth feature. The positive aspect of using PureVPN for torrenting and P2P file sharing is that it comes with a P2P protection add-on which is a must for regular torrent users. The P2P protection helps users with downloading clean files and keep all the malicious files or torrents at bay. PureVPN has a massive pool of VPN servers that are optimized for streaming. In other words, when you join the streaming servers of PureVPN, you can expect a buffer-free streaming on all your favorite streaming channels including Amazon Prime, Netflix, Hulu, and more. As mentioned earlier, the unlimited bandwidth feature of PureVPN lets you binge-watch and stream videos to your heart’s content. Netflix is the most popular streaming service in the world. However, its huge gallery of content differs from country to country or region or region. The most popular content gallery is currently offered by the US and UK Netflix. But, due to licensing problems, users can’t access the US and UK Netflix from abroad even if they have a US or UK Netflix subscription. Although users can use VPN services to access Netflix from abroad but due to Netflix’s war with VPN, a great number of VPN services have lost their IP pool to Netflix ban and thus don’t offer access any more. PureVPN application is second to none when it comes to compatibility. As mentioned earlier, PureVPN offers a wide variety of compatible version of its application which includes consoles and routers as well. Users require a VPN for Xbox to not only access and download their favorite games that are behind country block but also to secure themselves against DDoS attacks which are now pretty common in online gaming and to access and stream services like Netflix and Hulu on their Xbox. Although the application isn’t available for direct installation but it can be manually setup through different methods. For instance, PureVPN can be installed on your Xbox console through the router, where you need to install the application on the router and connect the console to the router. Similarly, PureVPN can be run on the Xbox 360 and Xbox One through the Windows as well as Mac system. There are complete guides available on the PureVPN support center and the blog where users can learn more about the different methods. When it comes to routers, PureVPN not only offers a complete manual setup guide for different routers but also offer a pre-configured router (FlashRouters). PureVPN is highly compatible with a wide range of routers available in the market including not only popular routers but other less popular routers as well. When you go to the support center of PureVPN and check under the routers category, you can find complete setup guides. You may find guides for DD-WRT, Tomato, D-Link, Belkin, TP-Link, MikroTik, Asus, DrayTek, and more. However, it is important to make sure that PureVPN can only be configured in routers that offer PPTP and OpenVPN protocols. @PureVPNcom User for 3 years for security reasons, on laptop, browsers, and android phone and tablet. Gets better with each version, and the Firefox and Chrome addons are now great. Comment from discussion Abenator’s comment from discussion "Whats the fastest VPN available?". In this review, we tested the service to its limits and found little or no reason to not give it 5 out of 5 ratings for its speed, performance and accessibility features. The service has a good pool of VPN servers and anonymous IPs. Secondly, it has servers in all the popular regions in the world. Plus, it offers a plethora of features that you would hardly found in the top VPN services in the industry. Best of all, the VPN service is affordable and it offers different packages depending on the users’ needs. All in all, it is a great VPN service and we recommend you that you must give it a try.